Bird control can come in many forms and guises. And if you’ve tried to keep birds from entering or nesting on your premises you’ll know how difficult a task that can be. That’s why, at Strathearn Pest Control, we have a range of services that will provide the solution you’re looking for. To ignore the problem can have disastrous consequences. We will tell you what can be done, when it can be done and advise you of the wide range of effective options there are to deter bird pests. Through years of experience we now specialise in the installation of bird netting and spike systems to ensure that birds are displaced and can’t return. 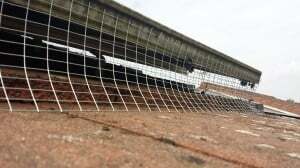 Netting is one of the most effective methods we use to keep birds off buildings, bridges and any other landing sites with wire netting and specialist clips very effective in preventing birds nesting underneath solar panels. Fitted correctly, these systems will prevent birds roosting and nesting and ensure the associated problems become a thing of the past. With the growth in the number of properties with solar panels, we are now dealing with an increasing number of call-outs and once the wire net is fitted, the birds can’t get in. Working throughout Central Scotland we are in travelling distance of much of the country and can be with you quickly to help and advise. To find out more about how we can help you either on a one-off basis or with a longer term preventative Service Plan for your premises or to arrange a visit from one of our specialist team, please call us on freephone 0800 0283 703 or complete our online contact form. 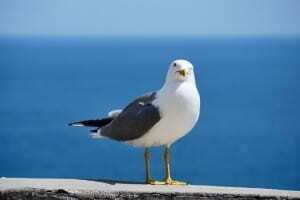 At Strathearn Pest Control we understand the problems that birds can cause. That’s why we have developed a range of Products and Services that can control any resident pest bird population. 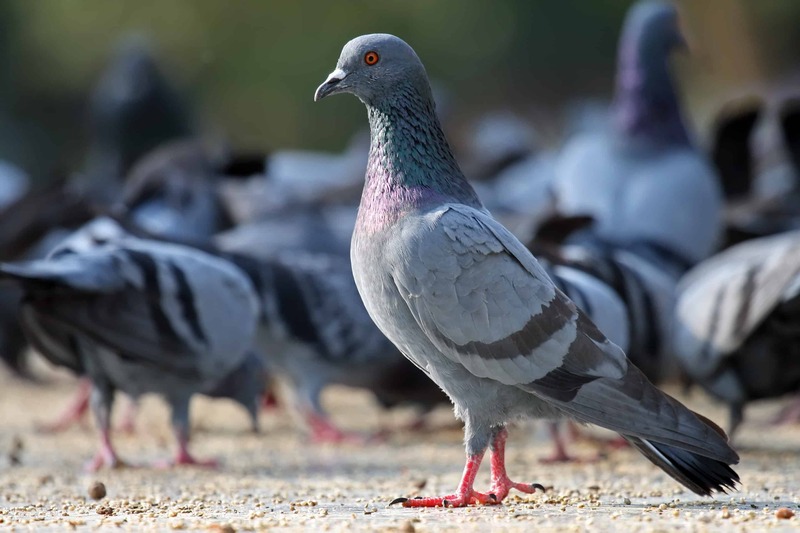 Our preferred methods focus on the displacement of birds, denying them roosting and nesting sites, and moving them on, away from your premises. Our methods are effective and discrete and each solution is tailored to individual customer circumstances. 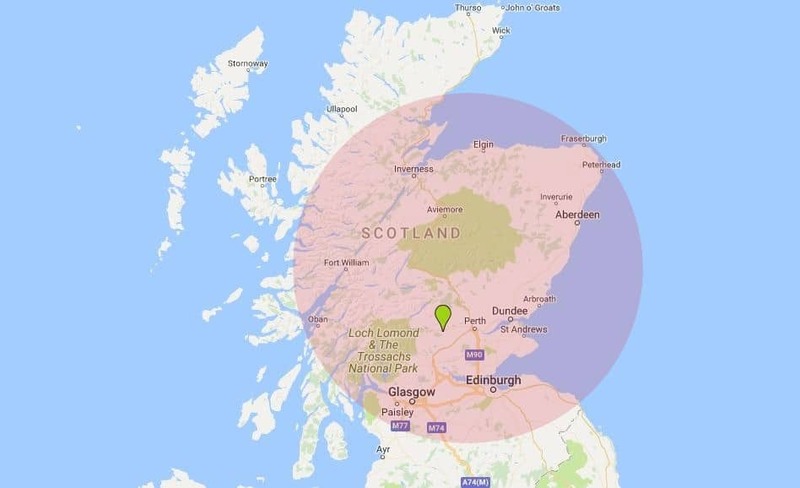 Strathearn Pest Control is based in Central Scotland and means we are within easy travelling distance of much of the country. From Dumfries in the South to Peterhead and beyond in the North, no job is too small. If there is a problem our specialist team can be with you quickly to help and advice. Call us today on 0800 0283 703 or use our online contact form. Bird netting is one of the most effective methods we use to keep birds off buildings, bridges and any other landing sites. We simply enclose the affected areas with the net, installing it under, over and around bird hotspots. Netting provides a virtually invisible barrier that birds can’t pass through or get around and it is a harmless deterrent that encourage birds to ‘move on’ to alternative sites. It is as effective on the underside of canopies, bridges and porchways as it is across flat roofs of warehouses and garden-centres and can be used for any manner of birds – from sparrows to gulls. 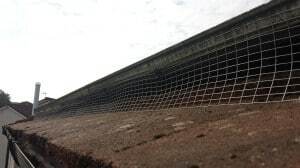 Using stainless steel fixings and wires to keep it in position, a net is an extremely versatile solution and is made from a tough, durable UV-stabilised polyethylene. It’s as discrete as it is effective and comes in black, stone and translucent colours. 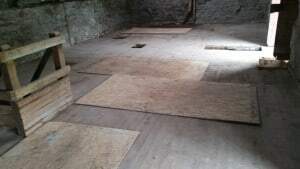 Fitted correctly, it will prevent birds roosting and nesting and ensure the associated problems – the build-up of fouling and nesting material, aggressive bird behaviour, damage to buildings etc – becomes a thing of the past. If you would like further information or would like to arrange a visit from one of our specialist Bird Team, please call us on 0800 0283 703. Alternatively, you can use our online contact form. Bird droppings and nesting materials can damage the panels and the wiring and have an adverse effect on their performance. Don’t despair though, our experienced technician’s can install wire netting around the perimeter of the panels to stop any access. The good news is that there is no drilling required as we use special clips that are designed specifically for the job. As Solar panels become increasingly popular we have experienced a considerable rise in the number of call outs to remove nesting birds from underneath them. The panels provide the perfect harbourage for birds, protecting them from the elements. If you have ever had birds nesting or roosting in and around your property, then you will know about the mess they can make. 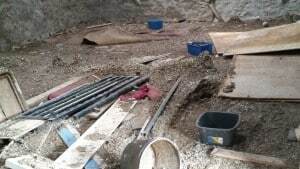 The presence of bird droppings, more commonly known as guano, nesting materials, dead birds and parasites, particularly in confined spaces, can pose serious health and safety risks. Left unchecked, the birds and their droppings can cause permanent damage to the structure of your buildings or equipment. That is why at Strathearn Pest Control we offer a comprehensive cleaning service to complement our existing Bird Control Services. We can remove all bird droppings and nesting material and often install Bird Control measures to prevent the problem happening again. A before photo of a recent clearance job. Strathearn Pest Control is a licensed waste carrier and is fully insured to remove and dispose of this hazardous material. Once all fouling, nesting material and associated debris is removed, the affected areas are cleaned and disinfected to make the area 100% safe. For more information about of any our services, call us on freephone 0800 0283 703 or use our on-line contact form. This method of control is very effective in reducing the size of the flock of the pest birds. It also encourages them to move on to safer nesting sites in subsequent years. The removal of the eggs prevents adults raising young on the site which in turn reduces the size of the flock and future breeding numbers. Over a period of 6 visits, the eggs are removed, with the final visit including removal of the nest. We may use hawks to scare the gulls away whilst the eggs are removed. They are flown near the nesting sites and will frighten away the most determined of gulls. Hawks can also be used over a longer period to scare the gulls away completely. They in turn will look for safer sites to nest and over time the flock will be progressively thinned out. Birds often build their nests in inappropriate locations. This can result in blocked gutters or chimneys leading to further property damage. Strathearn Pest Control provide bird nest removal services across Scotland. We will quickly and safely remove the nests in a licensed and legal manner. Problem bird nests are often in inaccessible positions and specialists in high or rope access are required. Our experts are qualified in working at heights so you can rest assured that the work will be carried out in a safe manner. 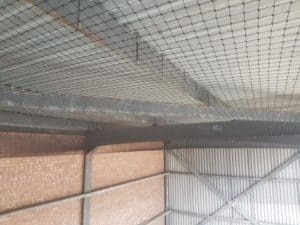 Once the nests have been removed we recommend the installation of some form of bird proofing to ensure the birds cant return to nest in subsequent years. If birds are a serious problem for your property, we can provide humane bird trapping services or bird shooting services depending on the circumstances. Our bird trapping is available across Scotland and provides a way to remove birds from your property and relocate them humanely elsewhere. If it is necessary to shoot the birds, our experts will provide bird shooting services and remove the birds quickly and in a correctly licensed manner, minimising disruption. Once the birds have been displaced we recommend the installation of some form of bird proofing to ensure birds cannot return to nest or roost in subsequent years.